Material: 100% cotton/ Colour: sand/ Based on a historical original/ Shipping weight: 400 grams. 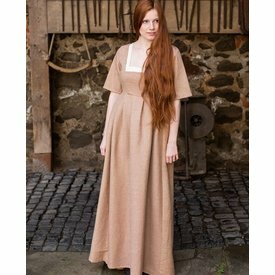 This beautiful medeival dress is both elegant and practical. Pracitcal, because the sleeves can be ordered separately and are thus easily adjusted to your needs. Elegant, because of the beautiful design of this medieval highlight. 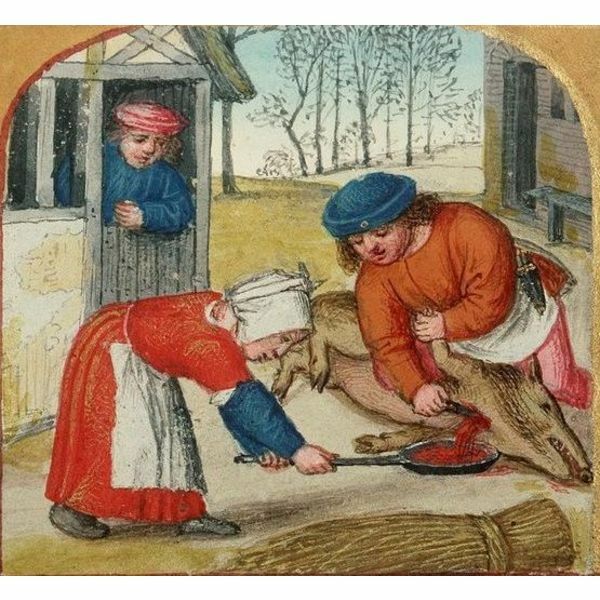 The dress is based on 14th century originals, but similar models were used in the 13th and 15th centuries as well. It can be easily combined with an underdress to complete your historical look. It is also suitable for larger sizes and makes a wonderful cleavage. 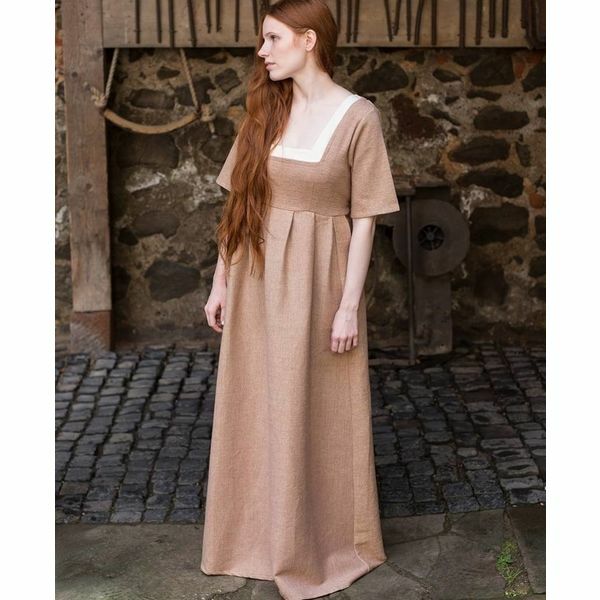 This dress is designed by DarkDirndl, a company specialised in historical and historically inspired clothing.